I watched one season while I was in college, but haven’t paid any attention since. A friend who is a big fan recently told me this was the final season, and I was so surprised. Even though I don’t watch it, it’s just a regular thing, you hear people talk about it, and it’s such a staple of entertainment and television, it seems strange it won’t be around anymore. My friend is very sad it’s coming to an end, as are most fans, I’m sure. 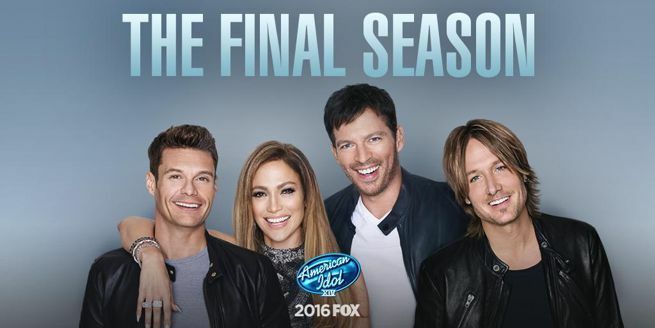 I have been following American Idol since Season 2 started. Fox seems to be in a rush to get the show off the air. Hard to believe they still have 8 contestants still in the running, and yet the show will be over in less than a month. The show used to end in the second or third week of May, but this year it ends on April 7.